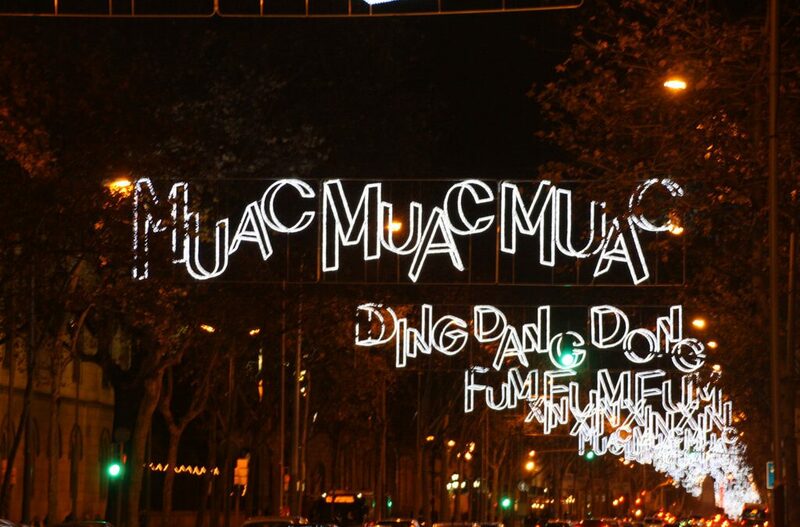 In Barcelonina we continue with the tradition of the 7 essential tips for Christmas. Let’s start in the center of the city. 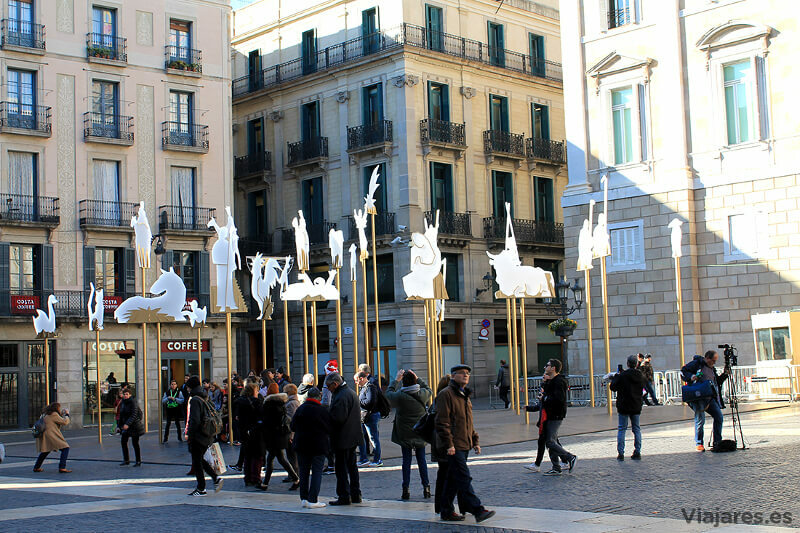 The central Plaça de Sant Jaume is decorated this year with the architect Jordi Darder’s project. Luminous and mobile figures representing the characters of the traditional manger. This time the visitor will not see a montage but many depending on the point of the Plaza where he is and the time of day. From there: a visit to the Christmas Fair of Santa Llucia in front of the Cathedral. In adittion, the very devout ones of Jesus or of Gaudí can go to see the Birth in stone of the facade of the Sagrada Familia. There you will find another traditional fair with firs, mistletoe and various decorative elements. How many times have you heard that Christmas has become the party of consumption? Whether you agree or not, it will be a good idea to go through the most central square of the city to visit the Fair of Responsible Consumption and the Social and Economy. You will be informed about projects and proposals that are committed to social transformation. And at the same time you will enjoy a great offer in food, clothing, culture and health. But if you are still hungry, enjoy the gastronomy of the city through the experts who will meet at the University of Barcelona next December 19 and 20. This days, young chefs and entrepreneurs of the world of gastronomy will offer their creations to the public. In addition, note to the foodies: the entrance is free! It seems that each year the hitting the ground wins followers in Barcelona! Jokes aside, in a safe and fun way you can practice skating in two very busy and commercial places: the shopping center La Maquinista and La Farga de L ‘ Hospitalet de Llobregat. The Rockefeller Center in New York no longer give us envy! 6. Sensory relaxation, a good Christmas gift. After so many activities, comings and goings, Barcelonina recommends a good rest. More and more the hotels in our city have excellent beauty and SPA services. 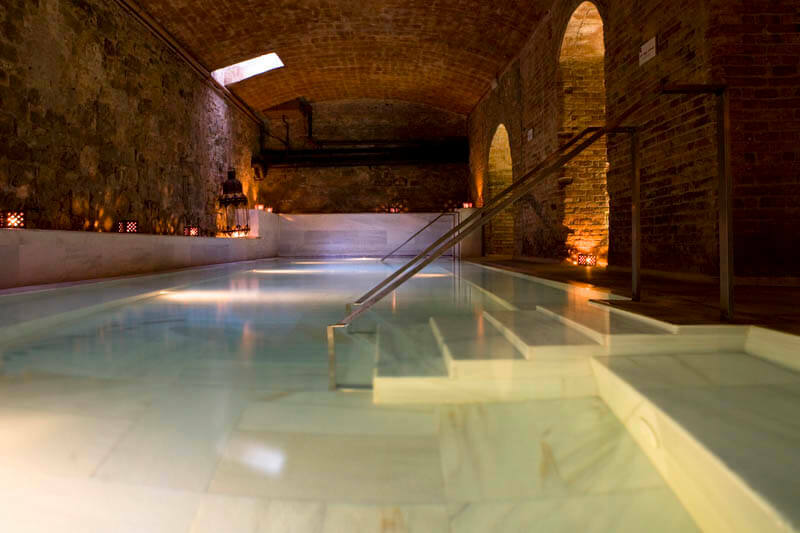 But on this special occasion you can take advantage of the Christmas offers of some specialized places such as the Arabian baths Aire de Barcelona, ​​a place of calm and disconnection, and enjoy in a personalized way with their massages, body treatments and facials. As it has been happening for years, a pyrotechnic show (which this year takes as its main motive vines and grapes), an explosion of light and color, awaits you on Avenida María Cristina in Barcelona, ​​from Plaça Espanya to the stairs of the National Museum of Art Catalunya and its Magic Fountain of Montjuc. But it is not the only place. Both publicly and privately, there are hundreds of spaces in the city where to say goodbye to 2017 and give a good welcome to 2018. In addition to the restaurants, there are nightclubs, theaters or concert halls such as the Jamboree Jazz Club, El Molino, Razzmatazz , Otto Zuzt, Pacha, City Hall … or the tents like the one that is installed in the Poble Espanyol. Going down to the beach or the Paseo Marítimo is another option. 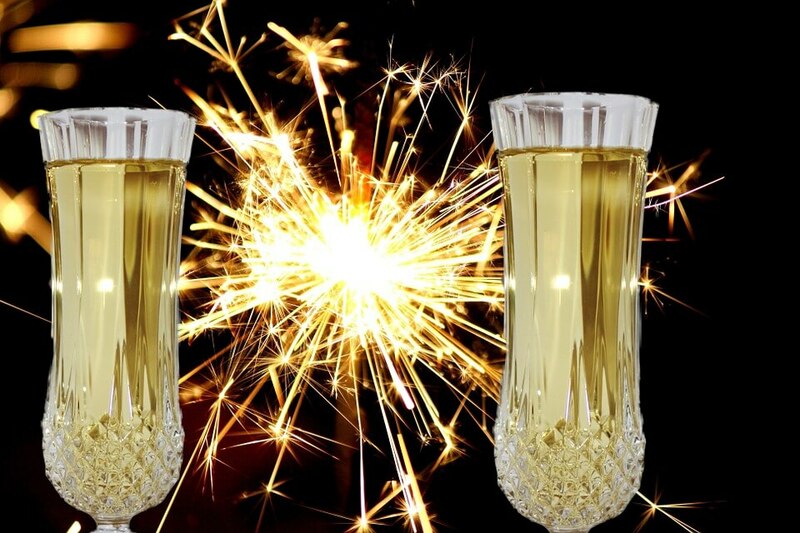 Always with responsibility and respect, everything is possible in Barcelona on New Year’s Eve !!! The Barcelonina team wishes you wonderful Festivities !! !